Is there really plenty of fish in the sea? Not anymore, unfortunately. We are currently consuming fish faster than they can reproduce. This situation is not only harmful to the fish themselves, but also to the health of the ocean and people whose livelihood depends on it. With its three rows of small teeth and its one-meter-long body covered with small spines, the roundnose grenadier isn’t exactly as cute as a giant panda - but it’s even more endangered. And yet, the Fisheries’ Council of Ministers has reneged on its commitment to end overfishing of deep sea species by 2020, allowing fishers to catch more grenadiers than advised by scientists. We simply have too many fishing vessels chasing too few fish. Around the world, fish catches have increased twice as fast as our population. The Mediterranean is the most overfished sea in the world, with over 90% of stocks being overexploited. Fishers are harmed by this situation too, as they have to work much harder to catch anything in emptying oceans. Some fishing techniques are particularly damaging, especially the ones that are not selective enough. For example, bottom trawling destroys reefs, removes sea grass and wipes out entire ecosystems on the seabed. Other non-selective fishing techniques catch sharks, turtles, seabirds, dolphins and other mammals, as well as plenty of other fish that weren’t planned for. Each is part of an ecosystem, with its natural predators and preys. The devastation of one species affects the animals and plants it used to eat and the ones that used to eat it, meaning the whole ecosystem can be destabilized. 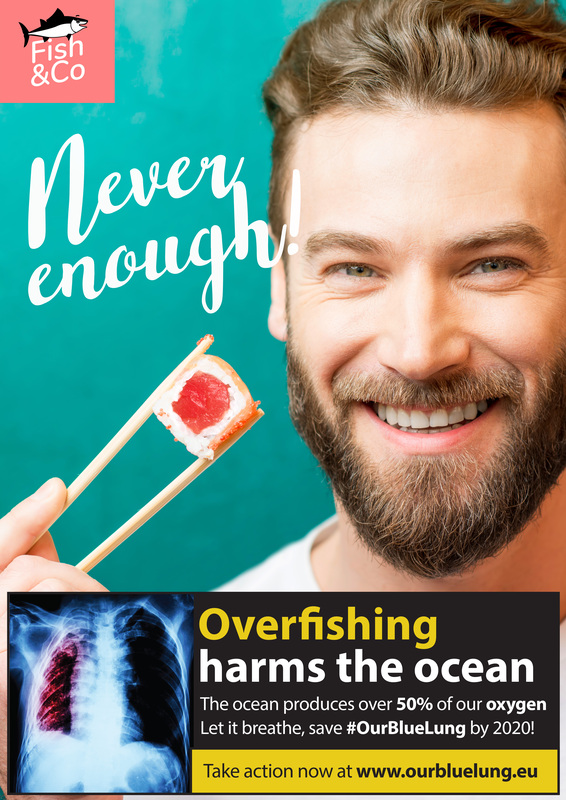 We can all do our part by eating sustainable seafood (see here for the Good Fish Guide) but the big change will come from our governments.